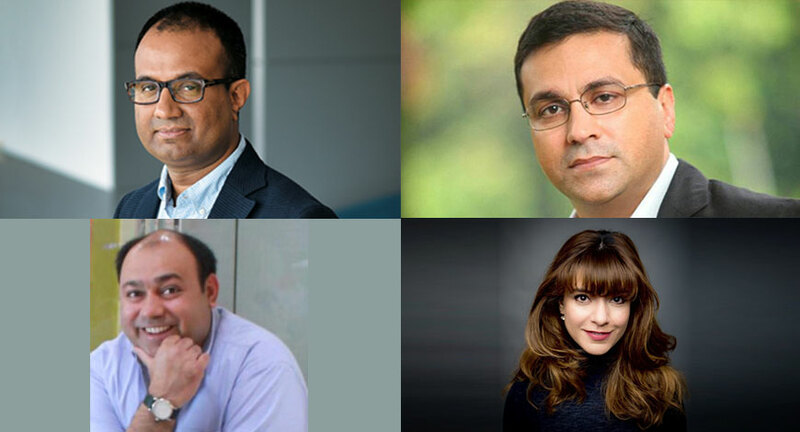 At the launch of The Ad Club's inaugural annual Digital Review: D-CODE, stalwarts of the industry like Rahul Johri, CEO, BCCI; Ajit Mohan, CEO, Hotstar; Mohit Kapoor, VP, Group Alliances and Mentor, JioGenNext; and Juhi Kalia- Head of India & Anthology APAC for Creative Shop, Facebook; shared what they think works for digital marketing. BCCI is the most important content creator in the world. We produce all that is cricket. The production of the matches, with 32 cameras, makes it an enriching viewing experience. That’s what is resulting in the large number of viewers that we are getting. Live sports content really drives the number of users, engagement and impressions. Everybody says short-form mobile content works on digital. Look at what happened during IPL. It reached the mark of 200 million viewers. It broke the world record five times. And it’s not just happening in cricket. It’s the power of live sport. FIFA World Cup Russia 2018 created a new record. But the amount of cricket content created today is disrupting valuation. Despite putting Rs 3,900 crore, Facebook didn’t get IPL media rights. That’s the kind of value that BCCI has created. The media rights of FIFA is at $4 million, BCCI is $3.5 million and International Cricket Council sits at $1.9 million. Far more cricket is coming your way. Three things that define the times to come in digital are: More and more content, including over 2000 domestic matches a year; localistation - regional targeting and community building; and personalisation - the power to choose. We did a campaign on Game Of Thrones (GOT). But we realised that while it was fabulous creative and story-telling, the subscription numbers didn't move for us. We learnt that most people were watching GOT on Torrents. And we were clear that we wanted to build a premium proposition. So we communicated the fearlessness of our premium offering via the Torrents Morghulis campaign. So I say that even when you're small, challenge the establishment. Articulate a philosophy, not just a campaign line. Look for the truth in humour and the humour in truth. During the launch of Jio, we wanted to associate with a big ticket event and thought of Kaun Banega Crorepati. We did not just want to associate with the event, but do more than that. That’s how KBC Play Along was born. Jio also leveraged voice activated chatbots with the launch of two films -- 102 Not Out and Sanju. That was the birth of Jio Interact. People could ask questions to film celebs and the bot replies in real time. This is a framework that now exists in Jio. We saw 13 million plus engagements with Ranbir Kapoor for Sanju and 4 million plus engagements with Amitabh Bachchan for 102 Not Out. That’s more than the number of tickets that these movies sold - straight impact on ticket sales for these movies. Blending online and offline to create integrated experiences is very important from Jio’s perspective. We believe in conversation over communication. And the final tip: Combine First Principle Thinking with entrepreneurial audacity. I will start with three suggestions that worked for me and my team. I will try to get to the next 10 minutes without using the word ‘digital media’ because there is no such thing as media. It requires great idea & beautiful craft and demands all the creative people, industry and marketers to look at all the tools that are available to us and do the best campaigns possible. People have the power, they can choose what they want to ignore. So what are they choosing to spend time on? Obviously, friends and family. It’s content creators. Buzzfeed, AIB--these are where I am willingly going to spend my time. This is because they are not selling me anything and I am getting entertained. Community (where people are united by passion) is a really powerful tool for brands to understand. How they can be in their conversations. Be more meaningful. Create a meaning when you are having conversations with consumers. The second request is not to live in any industry bubble where there is advertising and marketing. There is a world out there who is not watching. Take a little step back and ask - What if this is not my idea, my film or brand? Will I watch it if I saw it somewhere else? If that happens we will be doing good work. The other step is where you are barred from making a film. Give yourself this challenge for one month. What would you make if you couldn’t make a film? Then you come up with really cool stuff.